TOP FIVE BEST SMARTPHONES YOU CAN BUY RIGHT NOW. 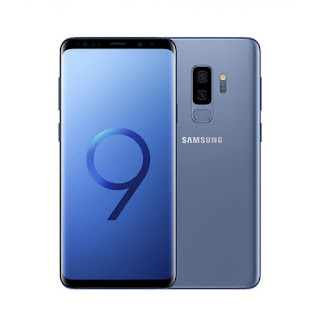 The first SMARTPHONES phone on our top five is the Samsung Galaxy S9 Plus. This is the best smartphone around right now, and mostly for Android lovers like you and I. The Samsung Galaxy S9 Plus is a big phone that’s designed for big hands – and it takes the very best of what’s on the smartphone market and puts it together in a compelling package that we’ve loved testing, despite the strong competition in the tech industries across the globe. 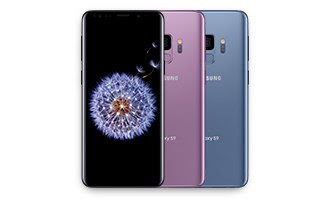 The Super AMOLED 6.2-inch display has been measured as one of the very best around right now, with super colours, great dynamic range and, essentially, the very best viewing experience you can have on a mobile phone. The battery life on the S9 Plus is better than that seen on the smaller S9, thanks to the 3,500mAh battery in the Plus model – although it’s probably the weakest part of the phone, not offering as much life as we’d have liked. The camera on the Galaxy S9 Plus is among the best on the market, and the dual-aperture capability offers some startlingly good snaps when things get a little darker. Colours can look a tad washed out when the exposure is higher, but the power of the sensor, with memory built into it to make it smarter than most rivals, offers very low-noise shots. Mini verdict: If you’re after a bigger phone with all the features that matter on board, the Galaxy S9 Plus is that and more. 2. Apple iPhone X ! The iPhone X (although it’s pronounced ‘ten’) is the redesigned Apple phone that iFans have been crying out for – and it’s now our best phone around thanks to a SIM free price drop seeing it hit £899 (a 10% saving). It’s got an all new shape, the notch at the top and higher price… but it’s the best iPhone that’s ever been made too (as long as you don’t miss the headphone jack). See specifications and details here Check out Iphone X features here. This phone is kind of different phone from the S9 Plus. is – it’s only got a single camera sensor, for one – but it’s a more palm-friendly model that still packs the power and top screen quality of its sibling. March 2018. Weight: 163g. Dimensions: 147.7 x 68.7 x 8.5mm. OS: Android 8. Screen size: 5.8-inch. Resolution: 1440 x 2960. CPU: Snapdragon 845 / Exynos 9810. RAM: 4GB | Storage: 64GB/128GB. Battery: 3,000mAh. Rear camera: 12MP | Front camera: 8MP . The best phone Huawei has ever made. Release date: April 2018 Weighing about 180g with a Dimension of 155 x 73.9 x 7.8 mm | OS: Android 8.1 | Screen size: 6.1-inch | Resolution: 1080 x 2240 | CPU: Kirin 970 | RAM: 6GB | Storage: 128GB | Battery: 4,000mAh | Rear camera: 40MP + 20MP + 8MP | Front camera: 24MP. 5. 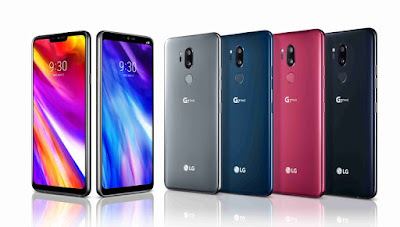 LG G7 ThinQLG’s latest phone is an impressive model The LG ThinQ will be very nice device comparing it’s amazing features which includes Google Assistant, which is a commercial feature in use today around the world by many, Google Lens which uses the camera to detect any objects in front of it, and offer suggestions accordingly. ASUS Unveils the All-New ZenFone 5 Series Smartphones. Nokia 7 Plus smartphone was launched in February 2018. ← Common mobile OS and application symptoms.